OSHA’s Lockout/Tagout (Energy Control) Standard is always one of OSHA’s most frequently cited standards, and now, with the “Amputations National Emphasis Program” raging on into 2018, as well as LOTO violations continuing to be considered “high emphasis hazards” to qualify employers into the dreaded Severe Violator Enforcement Program, it is critical for employers to get Lockout/Tagout right. While LOTO continues to be an important standard, it also continues to be one of the least understood standards. This webinar will highlight the Top 10 most misunderstand and frequently cited aspects of the LOTO rule, and forecast some potential changes to the rule and OSHA’s enforcement of it. Click here for a recording of the webinar, and here is a link to a PDF of the slides from the webinar. The February 20th webinar was the second webinar event in Conn Maciel Carey’s 2018 OSHA Webinar Series. 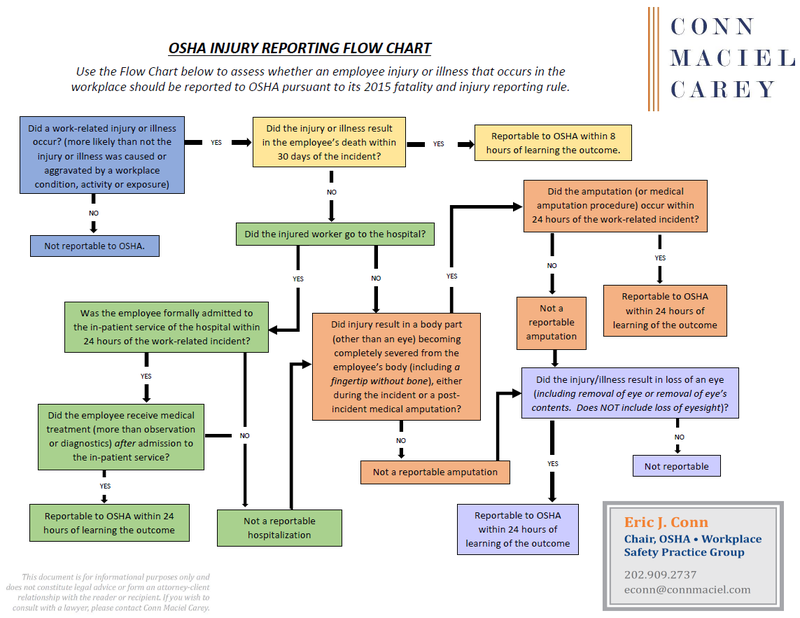 If you missed it or any of our prior webinars this year or from past years’ OSHA Webinar Series, here is a link Conn Maciel Carey’s webinar archive.